Acid-Free, Lignin-Free. 25% cotton Fine bond paper. 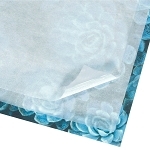 The color is a light cream that matches our paper envelopes of various sizes. 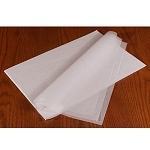 Brand provided for the Fine Permanent Paper Cream 24lb Letter may vary, but the color, the weight, and specifications will remain the same. This Fine Permanent Paper Cream 24lb Letter is the same paper we use to print our "Letter to the Future" stationery on. 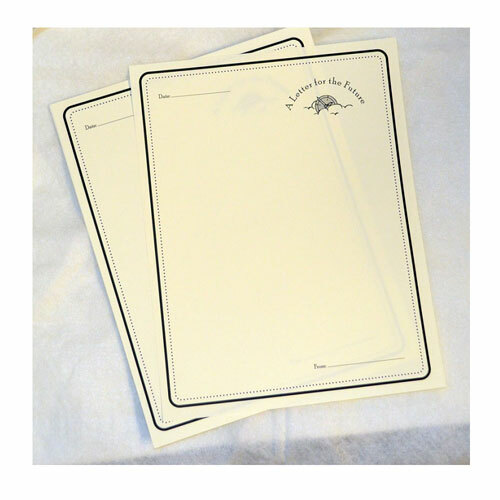 Use it yourself for plain sheets or to print your own special stationery. It's a pleasing color. The paper has a nice, thick, quality feel to it. Q: I assume this Bond paper is Flat, smooth, with no textures at all, right? 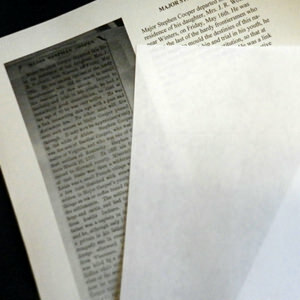 A: Yes, the paper is flat however it does have a Watermark on it placed by the manufacturer. 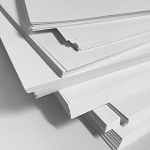 We print our stationery on this paper and have had no problems with any of these processes: color laser, black and white laser, and inkjet. Thanks for your question!